Support the Fair, and Your Business! 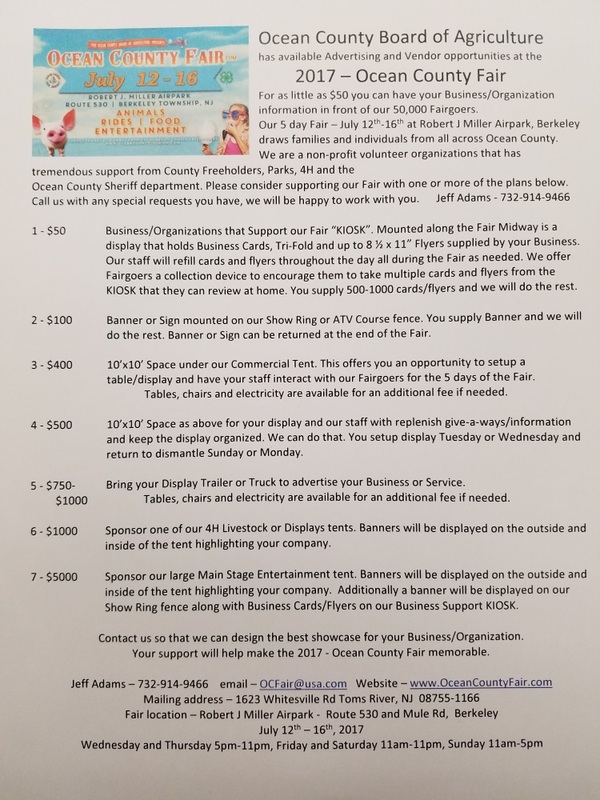 The Ocean County Fair is pleased to invite organizations, businesses and individuals to become a part of the Fair through sponsorship and advertising opportunities. Every year, almost 50,000 people walk through our gates to visit our 4-H animals, eat great food and enjoy exciting entertainment. 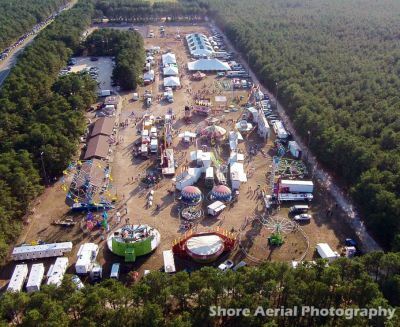 Let them see your support of the fair, and provide them with the opportunity to support your business.